Below you fill find all funeral homes and cemeteries in or near Strawberry Point. Suburbs of Strawberry Point: Strawberry Pt. Strawberry Point is also known as: Clayton County / Strawberry Point city. Zip codes in the city: 52076. Clayton County funeral flowers can be purchased from one of the local funeral shops we partner with. Our funeral homes and crematory facility are full service funeral establishments offering personal, distinctive and affordable services to individuals and families of all religious faiths. 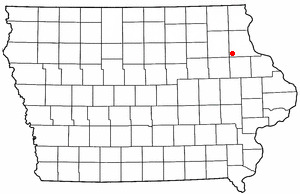 Strawberry Point is a city in Clayton County, Iowa, United States. The population was 1,279 at the 2010 census, down from 1,386 at the 2000 census. Strawberry Point is home to the world's largest strawberry (made of fiberglass). Backbone State Park, Iowa's oldest state park, is located a few miles from the town. It was revealed by Waterloo/Cedar Falls Courier on January 20th, 2019 that Arnold A "Arnie" Koloc passed away in Strawberry Point, Iowa. Koloc was 80 years old. Send flowers to share your condolences and honor Arnold A "Arnie"'s life. It was reported by Waterloo/Cedar Falls Courier on November 14th, 2018 that Donald Jack Fredrick passed away in Strawberry Point, Iowa. Fredrick was 84 years old. Send flowers to express your sympathy and honor Donald Jack's life. It was noted by Waterloo/Cedar Falls Courier on November 4th, 2016 that Elvin Floyd Aldridg passed away in Strawberry Point, Iowa. Aldridg was 87 years old. Send flowers to express your sympathy and honor Elvin Floyd's life. It was written by Waterloo/Cedar Falls Courier on October 2nd, 2016 that Edwin Sadion died in Strawberry Point, Iowa. Sadion was 92 years old. Send flowers to express your sympathy and honor Edwin's life. It was written by Waterloo/Cedar Falls Courier on September 4th, 2016 that Darryl L Maser passed on in Strawberry Point, Iowa. Maser was 51 years old. Send flowers to express your sorrow and honor Darryl L's life. It was revealed on February 27th, 2016 that Barbara Jean King (Dunfrund) passed on in DeKalb, Illinois. Ms. King was 87 years old and was born in Strawberry Point, IA. Send flowers to express your sympathy and honor Barbara Jean's life. It was reported by Waterloo/Cedar Falls Courier on December 17th, 2015 that Roger James Henninger perished in Strawberry Point, Iowa. Henninger was 73 years old. Send flowers to express your sorrow and honor Roger James's life. It was noted by Waterloo/Cedar Falls Courier on November 30th, 2015 that Betty Jeanne Wickam passed away in Strawberry Point, Iowa. Wickam was 90 years old. Send flowers to share your condolences and honor Betty Jeanne's life. It was disclosed by Waterloo/Cedar Falls Courier on March 30th, 2015 that Kenneth D Dopp passed away in Strawberry Point, Iowa. Dopp was 85 years old. Send flowers to share your condolences and honor Kenneth D's life. It was disclosed by Des Moines Register on January 4th, 2015 that Dewayne Bonnett died in Strawberry Point, Iowa. Send flowers to express your sympathy and honor Dewayne's life. Backbone State Park, Iowa's oldest state park, is located a few miles from the town. The population was 1,386 at the 2000 census. 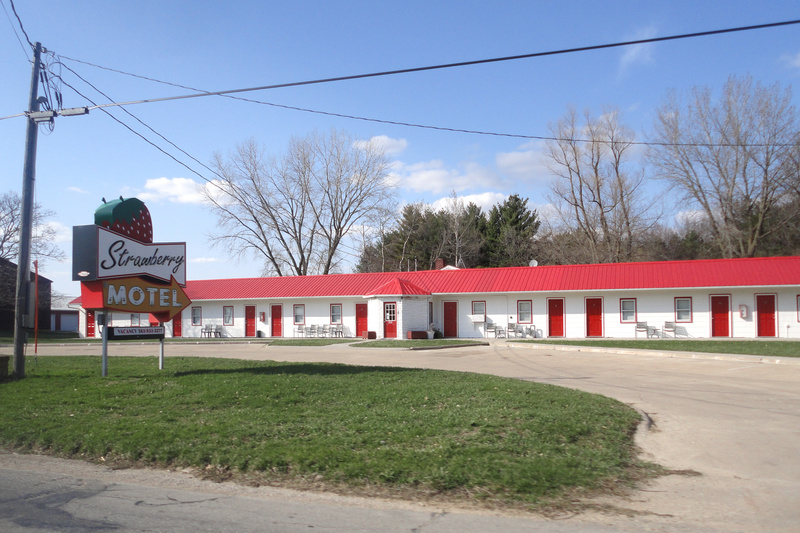 Strawberry Point is a city in Clayton County, Iowa County, Iowa, United States. Strawberry Point is home to the world's largest strawberry (made of fiberglass). . The official website for the city of Strawberry Point is http://www.strawberrypt.com. Listing all funeral homes in Strawberry Point, Iowa so you can easily send flowers to any location (same day delivery) or find any funeral service. Here are the results for funeral homes in Strawberry Point Iowa. You can find some of the best funeral homes businesses serving Strawberry Point. Find a Funeral Home inStrawberry Point, Iowa IA to provide the caring burial and ceremonial services your family deserves. We work with local florists and flower shops to offer same day delivery. You will find budget sympathy flowers in Strawberry Point here. Our funeral flowers are cheap in price but not in value.